I’ll be hosting the group chat at House of Clues, a fun new Facebook group, on Monday, November 19. 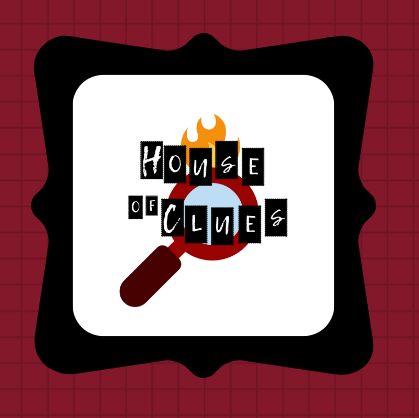 House of Clues gathers a group of writers published by Henery Press, and connects those writers and readers in a discussion on all things crime fiction and more! Not sure yet exactly what direction the conversation might go in, but guaranteed that short fiction will be one of my topics, plus classic crime fiction, teaching mysteries in the classroom, and maybe even the holidays ahead! Oh! And I’m planning three giveaways: a signed copy of On the Road with Del & Louise, a signed copy of the Ellery Queen’s Mystery Magazine featuring my latest story, and copies of two short story collections by my wife, Tara Laskowski . Looking forward to a fun day at House of Clues—and thanks to Cynthia Kuhn, a good friend and Agatha Award-winning author, for helping to organize all this!